A Very Nice Front-Loaded Dart with Agressive Grip. 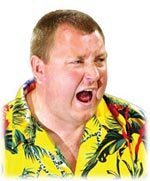 Wayne "Hawaii 501" Mardle is the number one character on the PDC World Tour. 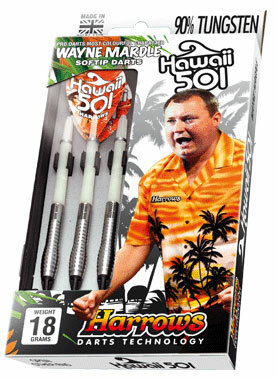 His performance in the Premier League and World Championships has stamped his unique personality on the Sport. 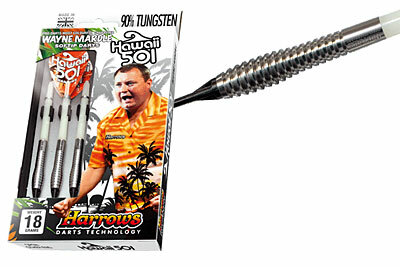 Wayne relies on Harrows precision darts to keep him ahead of the field.